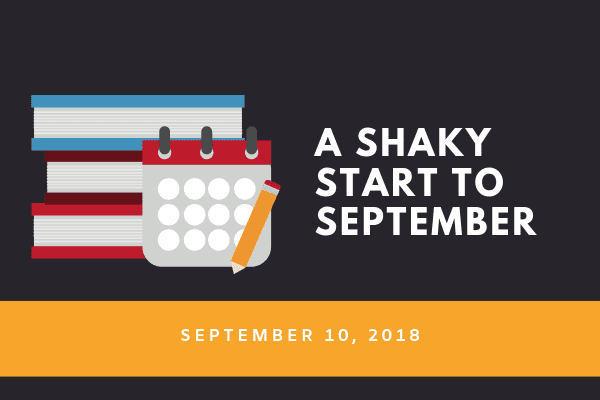 A Shaky Start to September- Here’s what you need to know Atlanta. 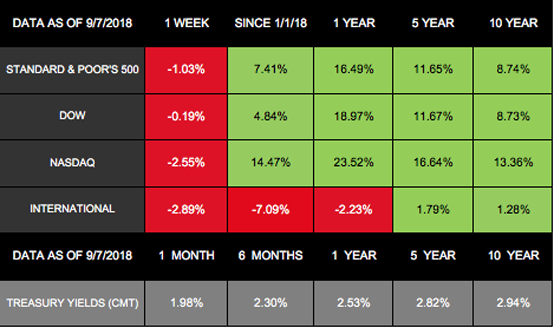 Domestic markets fell last week due to negative trade news and declining tech stocks, with the S&P 500 and Dow both breaking their multi-week winning streaks. Meanwhile, the NASDAQ posted losses for 4 days in a row for the first time since April and experienced its worst September start since 2008.Overall, the S&P 500 lost 1.03%, the Dow dropped 0.19%, and the NASDAQ gave back 2.55% for the week. International stocks in the MSCI EAFE also declined, losing 2.89%. increase contributed to stock losses, because it could mean that 2018 will have 2 additional interest rate increases – with more on the horizon for 2019.